Maroon Bell Outdoor is a fashion-conscious outdoor apparel line started by Jeremy Dougherty, a fourth generation Coloradoan. Dougherty was inspired to start Maroon Bell Outdoor out of his love for fashion and the outdoors, paired with his goal to create the next great American company. Whether you're hiking in the morning or meeting pals for a drink downtown, Maroon Bell's t-shirts, hats, and accessories will make for the perfect outfit. Best yet? 3% of the company's sales are given back to non-profits who are helping to make the world a better place. At Summer Flea, be sure to stop by the Maroon Bell Outdoor booth to check out their new custom Baseline Bison - Colorado Driving Gloves. Created for Coloradoans who need gloves that are stylish enough for the city but also rugged (and practical) enough for the mountains, the Driving Gloves are made with buffalo leather and lined with a soft cotton blend. Maroon Bell Outdoor is the embodiment of what can be created by visualizing your dreams for long enough. This company is a reminder of what it truly means to work hard to create something from nothing. For the first time in my life I have seen first hand how important faith in a dream is. No matter how difficult things get or what bizarre problems arise maintaining your grip on what could be is all that matters. You can’t let go, even for second. Eventually that dream becomes a reality, your reality. Our first product was a 70% Bamboo T-shirt with our logo on it. My uncle was in town that night and the whole family was at my parent’s house for dinner. After dinner we all put the shirts on and played pool. It was a pretty exciting night for me. While this product was soft it was expensive to bring to market, did not wash well and was an overall positive learning experience. How (or, has) your process evolved? Every single process has evolved. I started from scratch and didn’t know anything about this business. I was spending money blindly because I didn’t know what I needed or how I needed it. Every single thing was brand new for me and every day I learned something else. I barely knew what a success or failure looked like. Now I am actually analyzing data and making strategic business decisions. I can see over six months what good decisions looked like and what bad ones looked like so I can map out a more effective process in the future. What is interesting about this evolution is today, even after everything I have learned, the company is in a brand new space so in this place I am at ground zero again. You have to constantly learn and do everything you can to make good decisions by using your past actions as a guide. Sometimes I feel like I am playing chess and every day the rules change so I have to figure out what those new rules are. For sure the Campfire Flannel. We worked on that for almost 11 months and my neutral opinion is that its perfect. I shops a lot and love clothes and I wear this flannel every day. The fit, color and structure of this garment is incredible. On top of that it has intricate findings and leather patches around it. This was one of the first things I had ever created from nothing and it was a really incredible feeling opening up the box for the first time. First off I never wanted to work for someone else forever. Secondly, I believe we all have a piece of gold inside of us that if exploited will make us the greatest there ever was in our own right. The trick in life is finding out what that is for you. Everyone is different and everyone’s piece of gold is different. I set out years ago to try and find this gold, try to achieve my own greatest potential. Sometimes you have to look in odd places, or climb deeper into the crevice as they say. I got a degree in accounting and was a financial analyst when I decided to start Maroon Bell Outdoor. A lot of people thought it was nuts but I love fashion and followed my gut instinct. I am doing this because I love it, I am passionate about it, and for this time and place it is my journey to achieve my greatest potential. I am a fourth generation Coloradan and spent seven years on the east coast where I became interested in fashion. When I returned to Colorado I felt like there was a void in the industry. I noticed that a lot of the companies in Denver were from out of state. 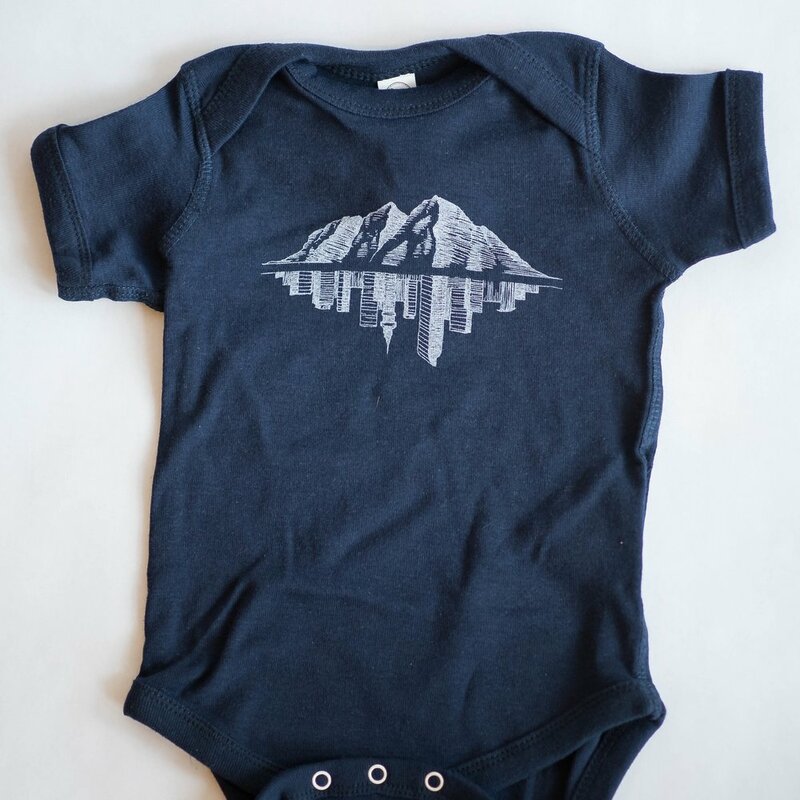 There were not a lot or any Denver based outdoor apparel brands. Secondly, I felt like the products being offered were very similar and lacked a unique fashion sense. Basically I couldn’t find what I wanted so I decided to create it. In a more general sense, I wanted to start a company because I believe we will be the next greatest generation. We can make this country whatever we want it to be. The companies we are starting right now, at their infant levels will one day be the fortune 500 companies controlling health care costs, green technology, middle class wages, pensions, maternity leave and everything else. I believe we have the power to re-build a nation that works for everyone and not just 1% of the population. If we don’t give up and we keep fighting for each other we can inspire others to do the same. These companies, the people running them, working for them and purchasing from them are the fabric of this nation. Together we can stitch it together however we want. I have a lot of best parts of days but one in particular is on Thursdays; my wife and I work out at Orange Theory at 5am. The best part is at 6:30 am, after I get home, take a shower and sit at my desk with a cup of coffee and read the front page of Google news. It’s a really incredible feeling. Colorado is the cool place to be in the country right now and our city is achieving its greatest potential. I feel like so many folks want to be from here and I am. There is a certain pride and ownership I feel for Colorado because of the fact that I was here before all of the excitement. I feel like Colorado is one of my family members or a best friend. I am so proud of it for achieving so much! Having said all of that, being an entrepreneur in Colorado is almost as brand new as the new phase of the city. I go to these events around the state and I see so many young entrepreneurs. Sometimes I feel like we are pioneers just starting out with a brand new city. We will always be the first ones in the new lights of the future Denver. We've got our eye on those new Baseline Bison Colorado Driving Gloves, because they are exactly what every Coloradan needs, no matter what the season! I started Maroon Bell Outdoor at 5am on a Wednesday morning in my one bedroom apartment. I bought the LLC, got the tax ID number, bought the domain and reserved the email addresses. Then I went to work at 8. That was 2.5 years ago. After I set up the company I had no idea how to start a fashion line - one day I was talking to my barber about the company and he connected me with a former Ralph Lauren designer, who stemmed to four other connections that led to the designer I'm working for today. We are designers and eventually will have a full line of our own products. Our first design was the classic, fitted, flannel shirt. We worked on this over an 11-month period and sold out the weekend we launched. Because we are not using banks or investors a lot of our products are branded which helps cover the cash flow gap as well as build our brand awareness and image.